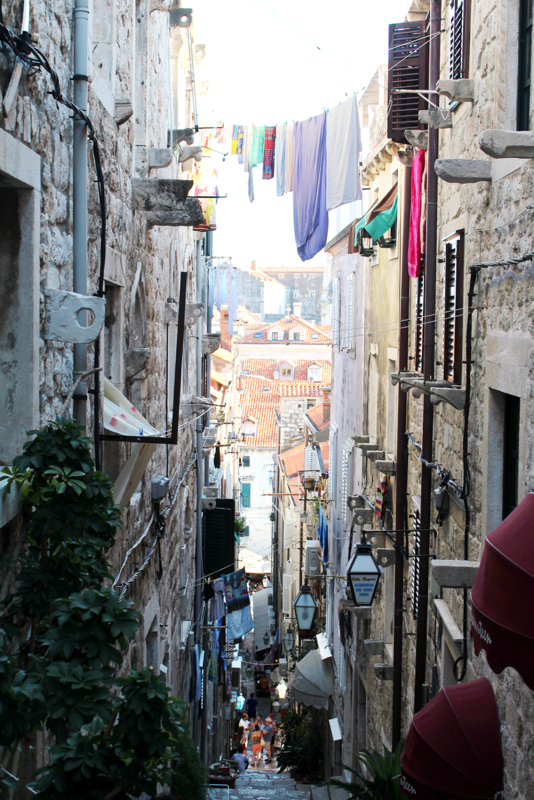 DUBROVNIK TRAVEL GUIDE || OUT AND ABOUT | RAWR BOWS. 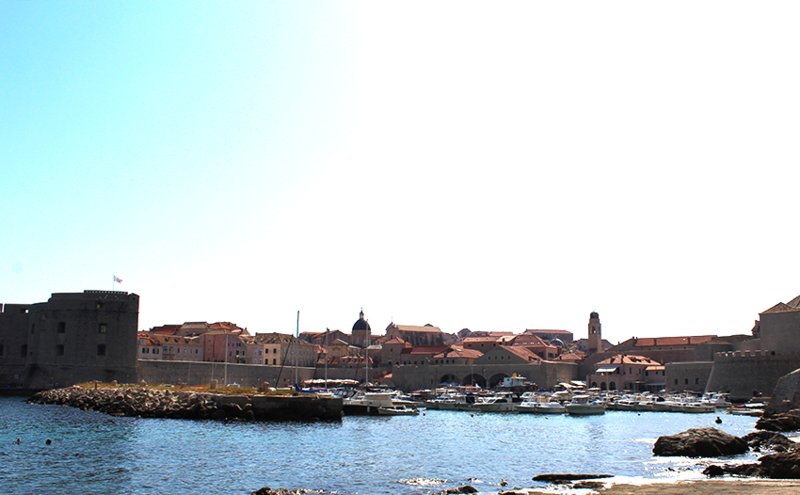 And finally we have the last post about my time in Croatia. 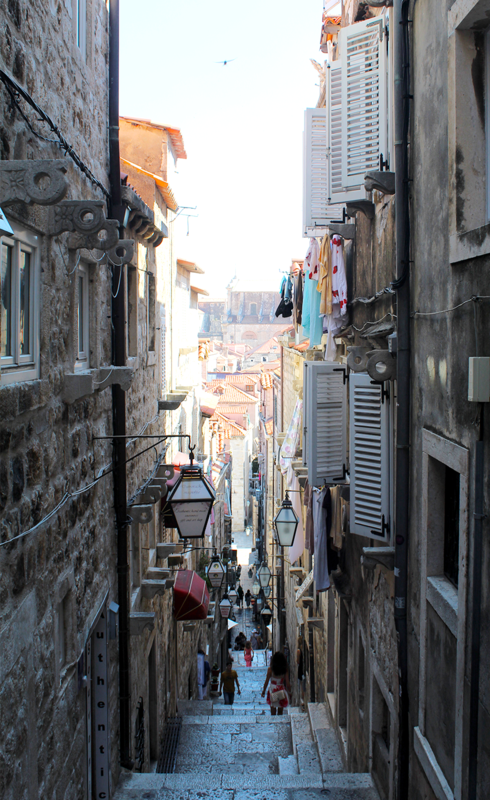 Our last four days were spent in Dubrovnik, a very beautiful town that was unlike any other place I had ever visited. The big city walls made it seem like you were in the Middle Ages or in Games of Thrones, and the many many many stairs made you reevaluate your fitness regime. Here's what I did, what I ate and what I photographed. 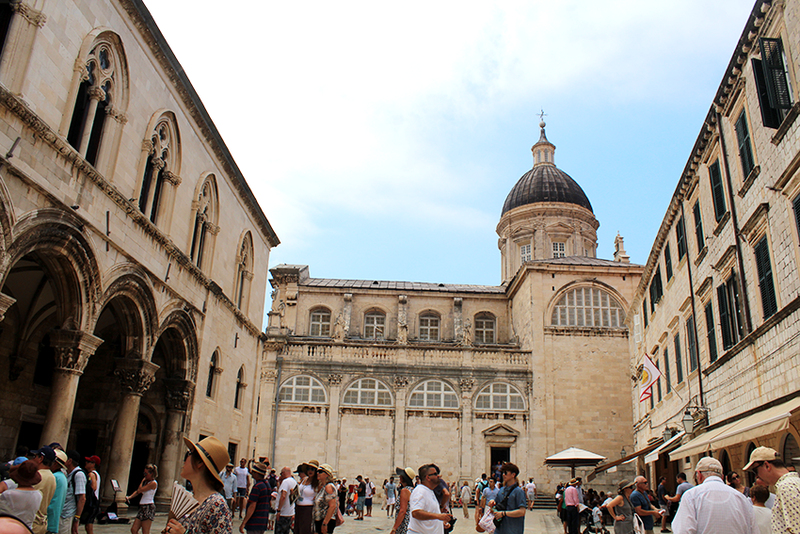 If you've read my previous post about Croatia you'll know I spent some time in Zadar. 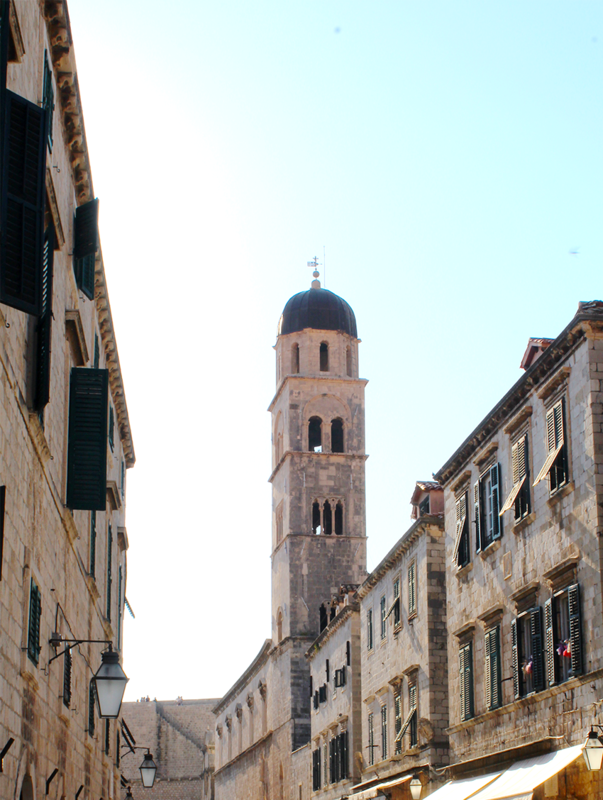 We took a bus from Zadar to Dubrovnik which was about £10 and it took about four hours. It was very long and by the time you get to Dubrovnik you will be so done with buses, but it's the most practical way to move around Croatia unless you want to take a taxi. 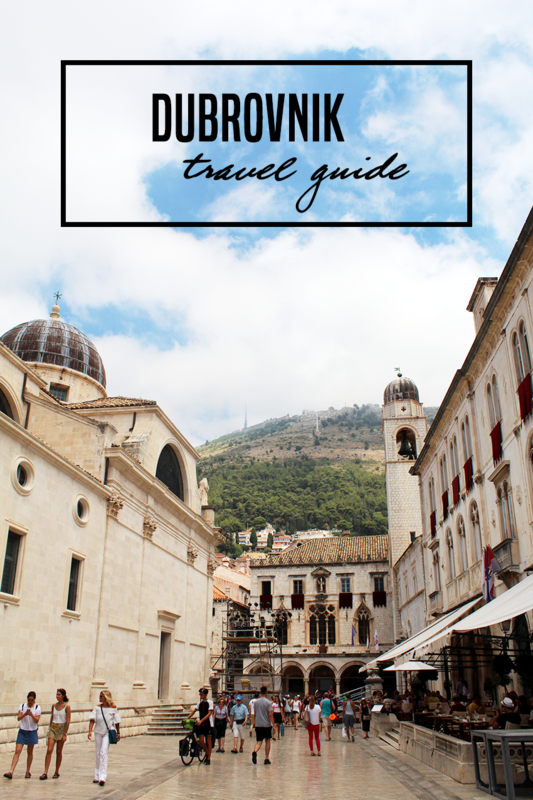 Something worth mentioning is that you'll have to go through Montenegro to get to Dubrovnik from Zadar and other cities so make sure to have your passport ready! We stayed in an AirBnB which was a bit outside the Old Town which could have potentially been very inconvenient but, as many other times, Uber came to the rescue. We managed to get into town in 10-15 min and it was fairly cheap (around £10) and we found the drivers were quite chill there and would usually let us be five in a regular Uber which is pretty great when you're a group of 5 and there's no UberXL. Staying outside the Old Town makes the price drop significantly, so if you don't mine not being right in the middle of everything, it is definitely worth it! I'm going to start by saying that we didn't do much in Dubrovnik. We were all tired, sleep deprived, done with the heat and hangover. However, we still tried our best to enjoy the city. 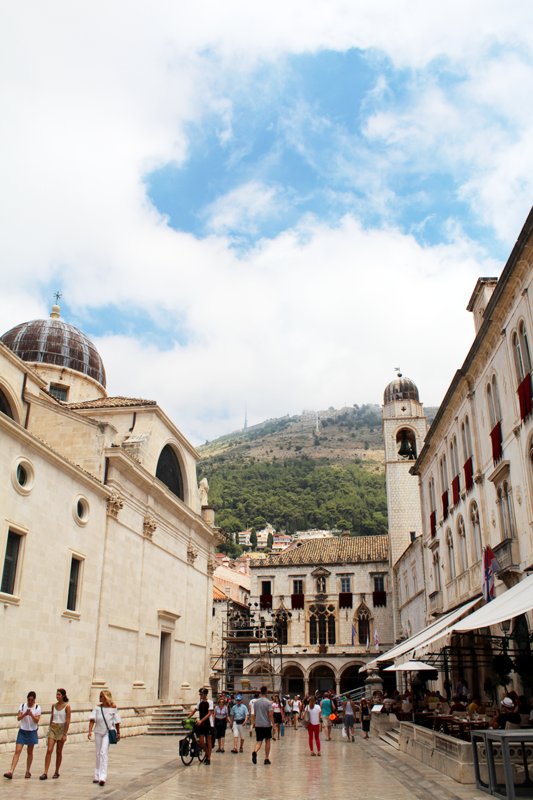 The first day we decided to just walk around the Old Town, exploring the beautiful narrow streets, the architecture, and admiring the city walls. We also decided to book an island tour for the following day. It was a very chill day. Later that day we decided to go out, as we hadn't had a night out yet in Croatia. We had heard about this club called Revelin... O M G, best club I have ever been to. I don't even like clubbing that much, but I had the time of my life. You literally party inside of a castle and the music was the perfect mix of dance, R&B and hits. It usually is free entry before midnight if you have a flyer, otherwise is £15. If you fancy a night out, you HAVE to go to Revelin. The following day, after about two hours sleep, we hopped onto a boat and explored the coast and some islands. We visited the a blue cave where we got to snorkel in crystal clear blue water. After that, we visited three islands: Lopud, Šipan and Kokošar. They were all kind of similar and, whilst they didn't have the most paradisiac beached I've seen, they were nice and it was great to swin after exploring cities for so long. I have to say though that the water was incredibly clear, it kind of seemed fake. It was the perfect place to snorkel! The final two days were spent chilling and swimming just outside of the Old Town and wandering around. As I said, our energy levels were very low at that point and we didn't really had the will to be proper tourists. 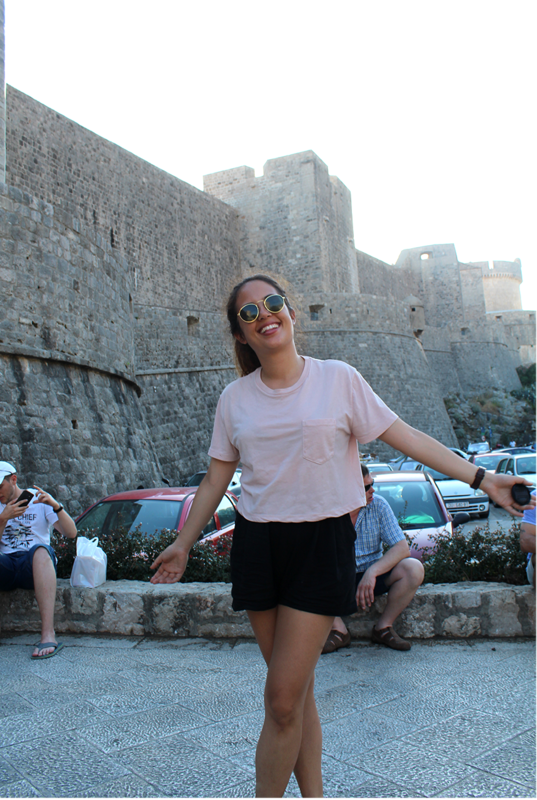 Even then, I loved Dubrovnik and it was by far my favourite city in Croatia! Seafood, seafood, seafood and more seafood. I had so much of it. I love seafood so freaking much, but even I got a bit sick of it. Croatian food is mainly based on fish and meat, so being vegan or vegetarian there is not the easiest. I had some incredible grilled fish, amazing ham and even better fruit. 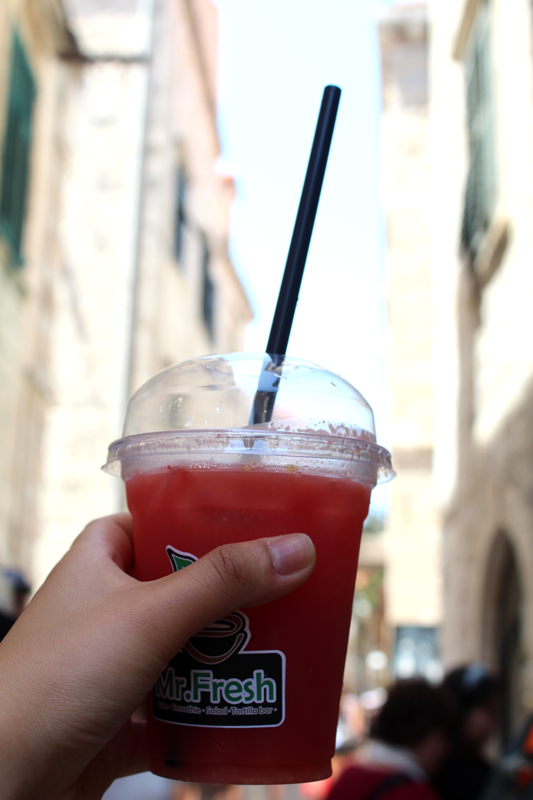 My favourite thing though was the watermelon juice I had one morning - it was from a smoothies and juices place called Mr. Fresh and it was incredible. Exactly what I needed to survive in that heat.